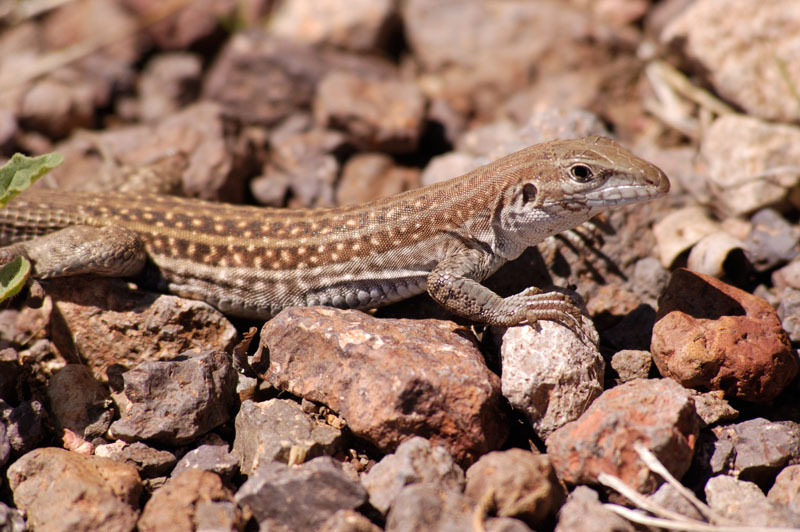 Phil and I saw this guy on one of our morning macro shoots during the 2015 Davis Mountains trip (from which we have astronomy and daylight pictures) It's a "threatened" species found in the Davis and Guadalupe mountains of West Texas! We've saw a number of them on the 2015 trip, which is good news then. Not sure what's hanging from the bottom of his mouth, perhaps part of his last meal? 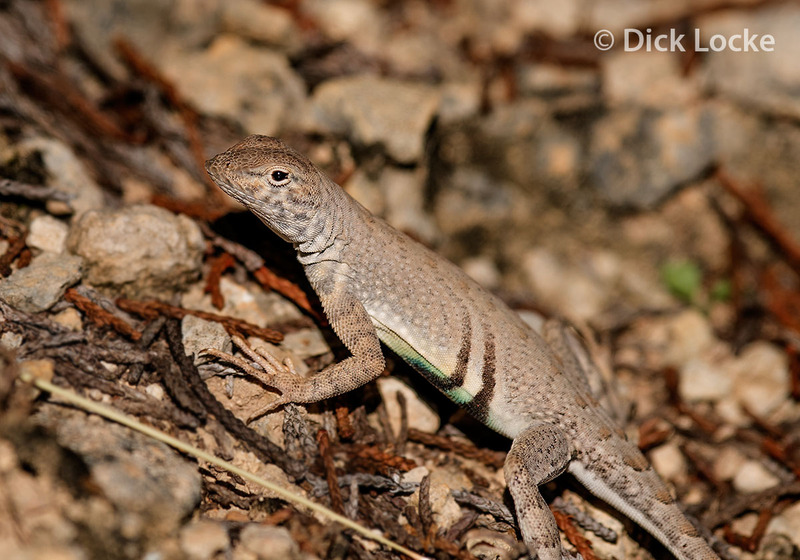 Best guess is this is an Eastern Fence Lizard. 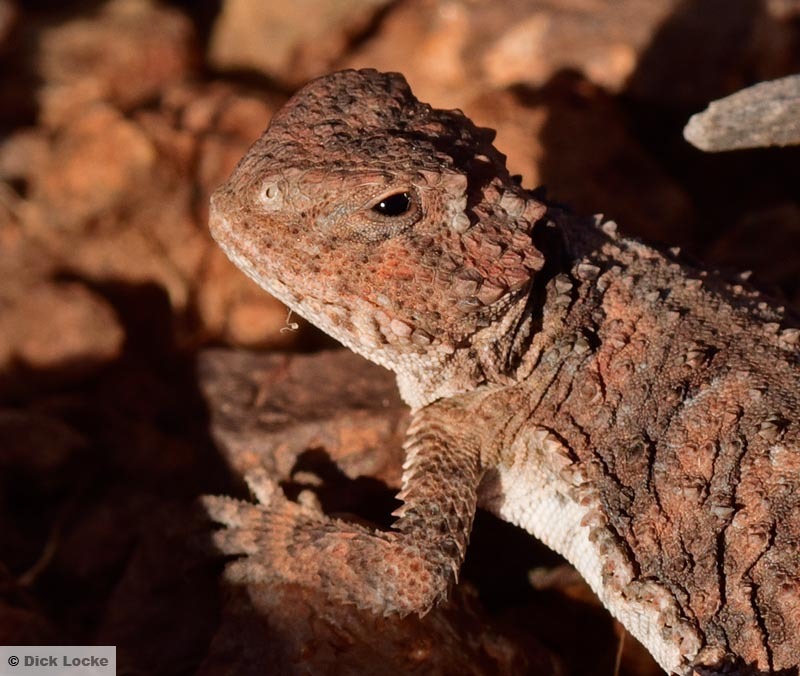 It looks like a few Western Fence Lizard images I've seen, but apparently the Western is not found in Texas. It's overall appearance was mostly black, but catching the sunlight in this picture shows iridescence an/or some pigment. 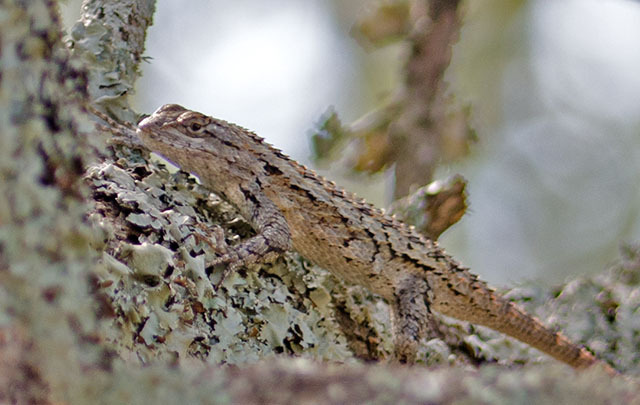 The only other thing I can figure this might be is an Ornate Tree Lizard. This is from Wimberley Fall 2016. Saw this guy on the road heading down to the bird blind... Didn't see much in the way of birds on this outing but this guy was very cooperative. From Wimberley, TX, Spring, 2012. See how well he blends in with the tree, below. These guys have a bit of blue on their bellies; wasn't able to get a good shot of that... 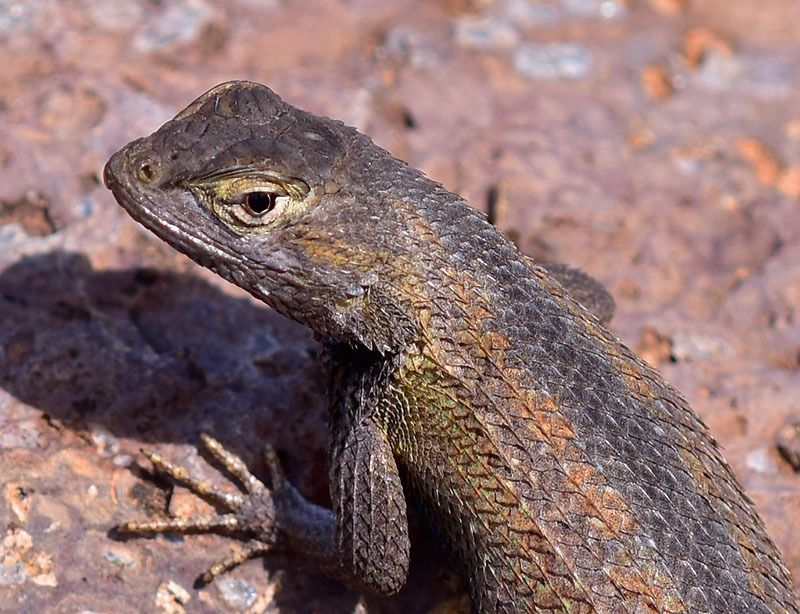 Pretty sure this is a spiny, but I have trouble with the IDs because the Eastern Fence Lizards look similar. From 2014, Wimberley TX trip. 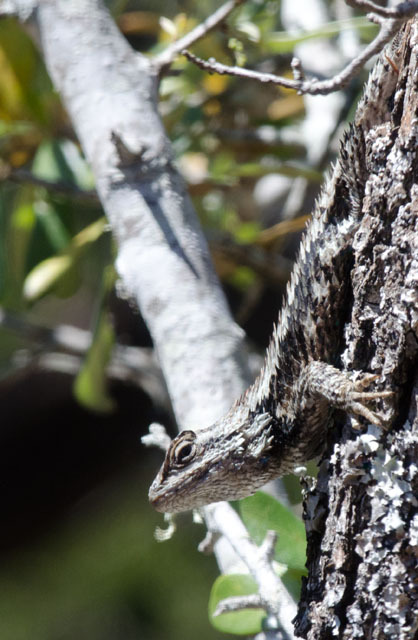 Best guess a spiny lizard. Could possibly be an Eastern Fence Lizard. 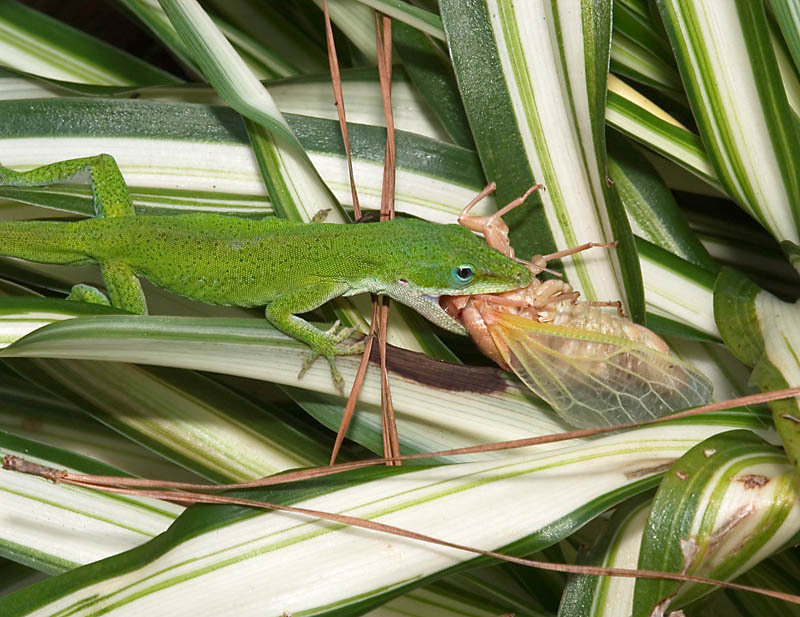 This picture shows a green anole eating a Cicada (?) 8/15/2004 in The Woodlands, Texas. Story: I was getting ready to mow the lawn on an uncharacteristically cool August morning and saw the insect on the front porch. It had obviously just molted. I picked it up and placed it onto a spider plant, and ran indoors to get the camera. 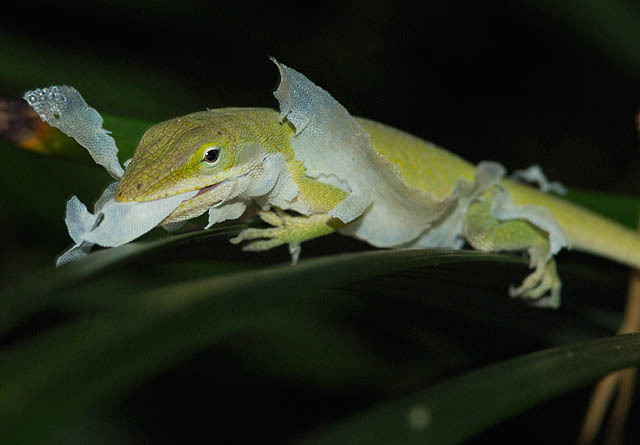 By the time I came back, the anole was making brunch out of my subject. He was intent on subduing the cicada and didn't seem to mind me. I took a few shots, and then attempted to move some obstructions out of the way. 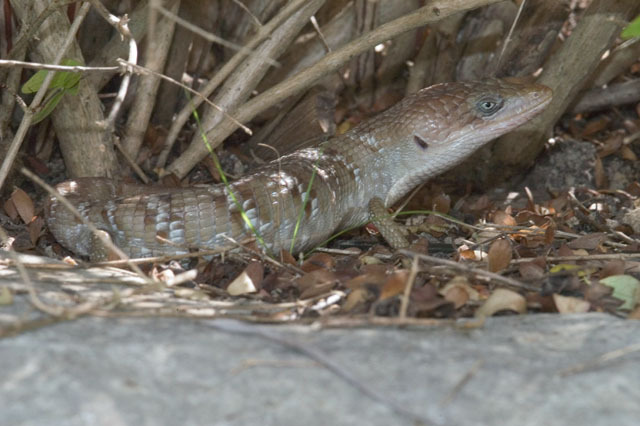 This spooked the anole, who took off. Figuring he might not abandon such a bountiful meal lightly, I hung around. Eventually, he came back. I shot away. 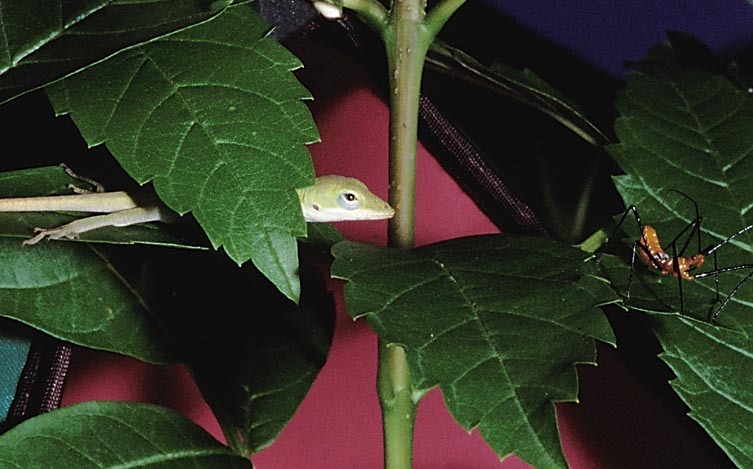 Once the Anole had control of his prey, he took off into the undergrowth. 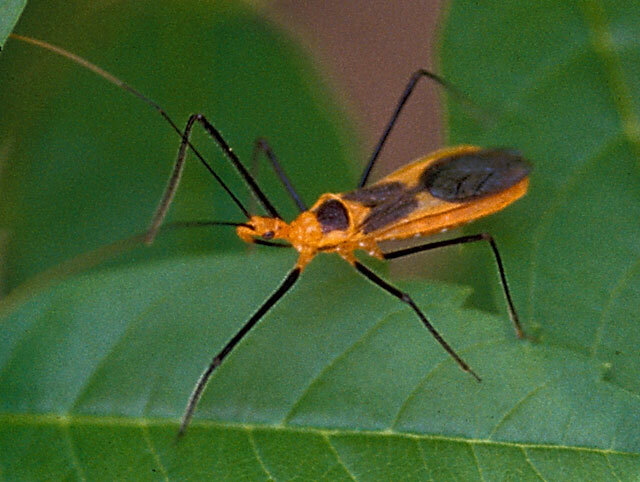 Photo Data: Nikon D100, Nikon 105mm f2.8 macro at f22, aperture priority, 1/60s, Nikon SB-80DX flash on the D-TTL mode. On my close-ups, I pull the card out on the flash, and set the flash pointing as low as it goes. ?Perhaps a Dog Day Cicada, Family Cicadidae, Order Homoptera. An Anole eying a bug as a potential snack, perhaps.